← Happy “75% of 10 Years” Anniversary to Us! Thanks to all for your kind thoughts and prayers for me about my recent sorrow-filled post. I probably shouldn’t allow myself to press publish when I’m tired and sad. I’m feeling much better now and the past couple days have been calmer. Although I didn’t (and won’t) have time or materials to sew Ellie the present I’d hoped to sew her, last night I sewed two for her, in less than 90 minutes! These are things that I’ve been meaning to make for her for awhile, just because she needs them. So it feels a bit as if I’m giving her a vacuum cleaner or something else equally boring and prosaic rather than something fun. 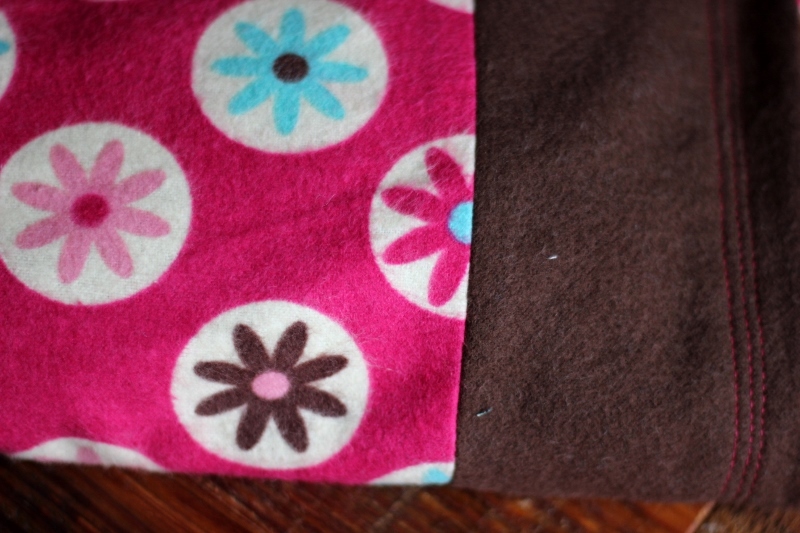 Regardless, yesterday, when I asked her what color she would want the cover of her corn sack to be if she had her own, she immediately answered, “Brown!” Skeptical, I asked her again and then she said, “Pink and brown!” I had already chosen the fabric for another pillowcase for her and it, providentially, was pink with brown accents. So, ta da, a matching set! Now she’ll be warm and cozy for bedtime! 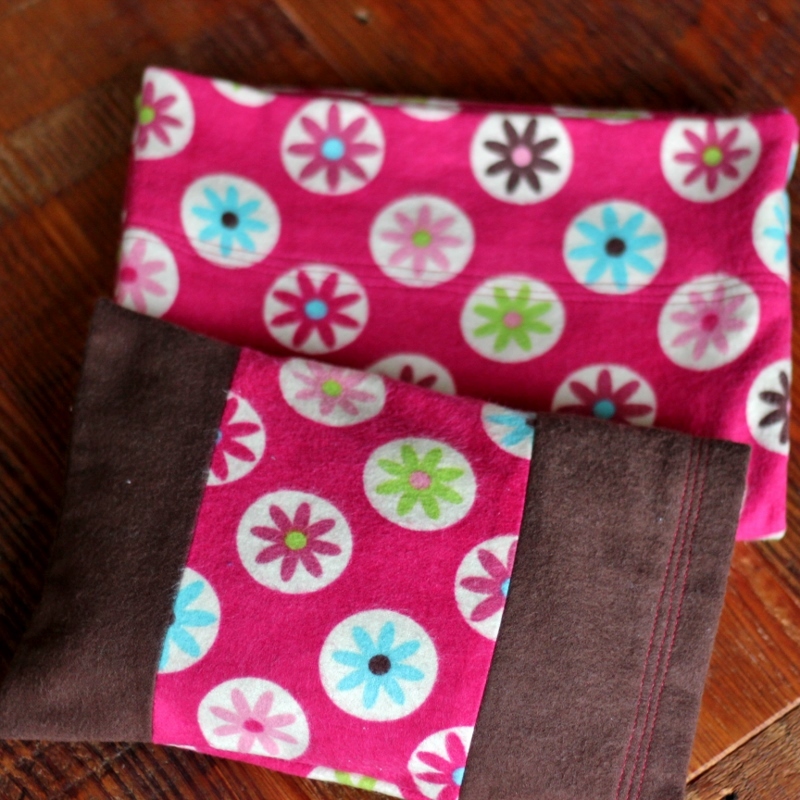 This entry was posted in Ellie, sewing. Bookmark the permalink. 2 Responses to Handmade Christmas 2014: Look! Two Presents for Ellie!